Hardworking Americans saved their entire lives for retirement and the government took money out of every paycheck for Social Security. Now the government thinks it is best to give those dollars to people who never paid into the system. Democrats say it is out of compassion. But it is burning a hole in the deficit and an even bigger hole in taxpayer’s pockets. They stood by and let a criminal identity theft scheme go on for years, perpetrated by none other than a group that has been bleeding America dry and making our cities and neighborhoods more dangerous. The worst part of it all? The real victims in this case are our own children. 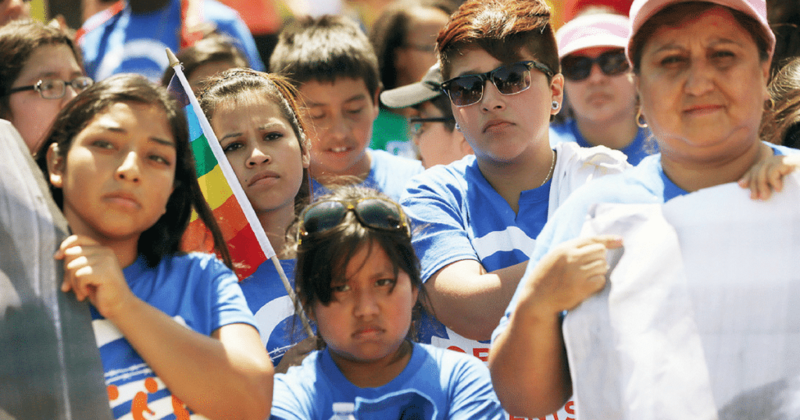 A study by the University of California, San Diego, reveals that nearly 44 percent of the almost 800,000 illegal aliens who have been protected under the Deferred Action for Childhood Arrivals (DACA) program previously worked in the U.S. without valid Social Security numbers. The study, according to Center for Immigration Studies Researcher Ronald Mortensen, sheds light on the potential identity theft rate of DACA recipients. Mortensen says President Trump’s administration should implement a plan called “DACA Victims’ Restitution Fund” where DACA illegal aliens who have previously worked under stolen Social Security numbers would pay a fine to their American victims ranging from $3,000 to $5,000. These illegals might have used stolen Social Security numbers. They were harming America citizens, most likely children. Why children? Because children are given Social Security numbers at birth. But they will not use them until later in life. That makes it easy for criminals to use those numbers. There’s less of a chance of getting caught. Liberals have even less of an excuse for keeping DACA. Are DACA recipients honest, decent folk? Or are they abusing the system? When they steal SS numbers, what other conclusion can you make? A case to end DACA is getting stronger. We’ll have to wait and see what happens next.